If you read my lengthy introductory post on the homepage you probably know that in an effort to expand my horizons I’ve decided to change things up a bit and read something different from the usual horror thrillers that I read. For that reason I recently purchased and read Ender’s Game. 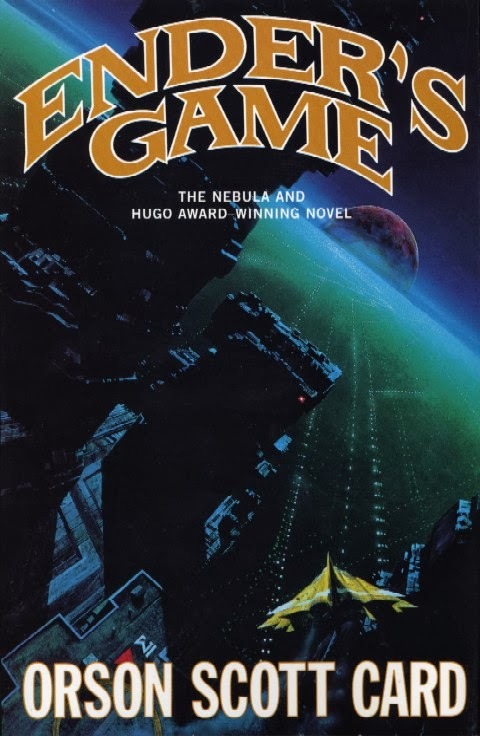 Ender’s Game is a science fiction novel that talks about a future where humans are being attacked by a hostile insectoid species. This part of the book kind of reminded me of the Xindi saga from the Star Trek: Enterprise. Book has a great plot twist at the end that I did not expect, which is great. Story is interesting, but I feel as though the main characters history could have been explained a bit better. It’s not until I talked it over with my sister that it dawned on me that Ender isn’t your normal kid. After reading the book I discovered that a movie came out bade on it. It stars Harrison Ford and Ben Kingsly, among others. I still haven’t watched it, but if you don’t want to bother with the book, you can watch the movie instead. Bye, bye. This entry was posted in Book Reviews and tagged book, book recommendations, book review by Annabel. Bookmark the permalink.